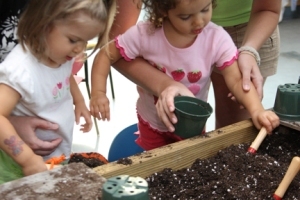 The mission of the PeaPod Club is to introduce children to the world of plants and gardening. Membership is open to all kids under 12 years. You can pick up your member card at our West Broad St. Location’s Reception area. It’s Free to join. Stop in each month with your PeaPod member to experience the joys of gardening! Encourage your little PeaPod to embrace working with the earth and experience the fruits of their labor first hand, values which stick with them long-term! Don’t miss the opportunity to get your own starter veggie or seed packet and watch it grow! Each month, we’ll have a different giveaway for the kids. Just bring the kids to the store, and present their card and they’ll receive their gift for that month. Sometimes it might be tied to a future event, such as returning with their pumpkin or sunflower later in the summer for judging. All instructions will be included with that month’s giveaway, and they will also be posted here on the website. So be sure to sign up for the PeaPod Club today! The Pea Pod Club gift for June is zinnia! The Pea Pod gift for May was begonias! The Pea Pod gift for April was dracena and palms! The Pea Pod gift for March was violas! The Pea Pod gift for February was “sensitive plants”! The Pea Pod gift for December was neanthe bella palms! The Pea Pod gift for October was Mini-Jack pumpkins! The Pea Pod gift for September was violas! The Pea Pod gift for August was lettuce seeds!